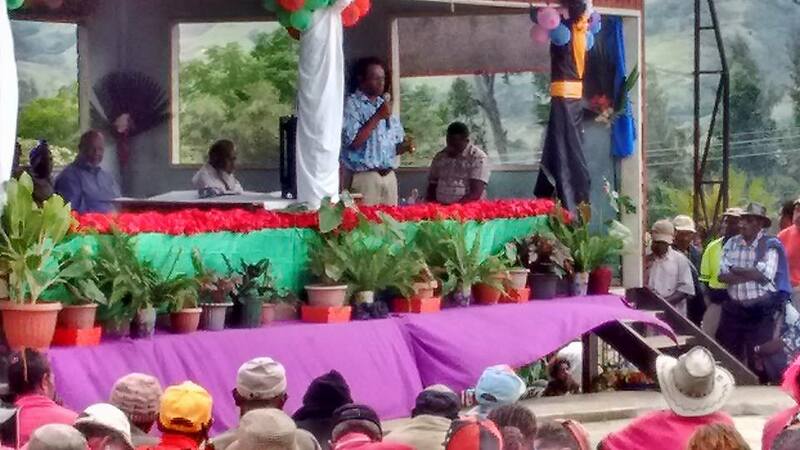 The Governor of Simbu, says the plight of people afflicted with cancer is an issue that needs to be seriously looked at. 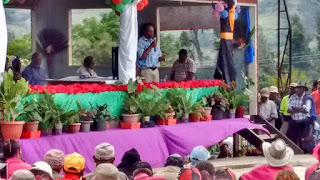 Noah Kool was speaking last Friday when welcoming a group from Goroka which had walked through Asaro to Kundiawa to do awareness and raise funds to purchase a new cancer treatment equipment. The walkathon is an initiative of the Catholic Diocese of Goroka. The walkathon is an initiative of the Catholic diocese of Goroka which all people walk for 7 days to reach Kundiawa via Asaro for Gembogl. "So health is everybody's business. Ino business blo yupla liklik lain tasol. "Health em business blo olgeta. Yumi olgeta mas sapot. "Yumi nogat moni yumi mas givim bel blo yumi. "Na yumi mas beten, olgeta taim olsem displa machine i mas stap lo hauski blo me." Governor Kool gave them K10,000 and says he will take this matter up with the national government to see how it can come in to support. Tobias Kulang, the member for Kundiawa-Gembogl pledged K35,000 and Wera Mori the member for Chuave and the Vice Minister for Mining made a commitment of K50,000 and also sponsor a major fundraising dinner in Port Moresby.